This morning, LG’s latest flagship device was announced after weeks of leaks, teases, and excitement brewing… Now, it’s time to meet the brand new LG G4. Quad HD (1440 x 2560) 5.5 inch screen. Quantum display technology for the clearest color quality. Camera manual mode for shutter speed, ISO sensitivity, white balance, and other customizable options. Snapdragon 808 and a 64-bit hexacore CPU at 1.8GHz. 3,000 mAh battery for 20 hours of talk time and 10.7 hours of web browsing time. 3GB of RAM and 32GB of storage, with an expandable microSD slot for even more memory. TechCrunch says that the phone’s “most stunning feature might be its unique industrial design, which follows other top-end device makers in angling for quality craftsmanship and materials,” saying its new leather-backing was brewed from three (or even more) years of engineering and research. LG G4 will hit store shelves in Korea tomorrow, while the U.S. will have to wait as long as a month to see the new smartphone. One thing’s for sure, you’ll want to safeguard your new favorite device with a military-grade protective LG G4 case. 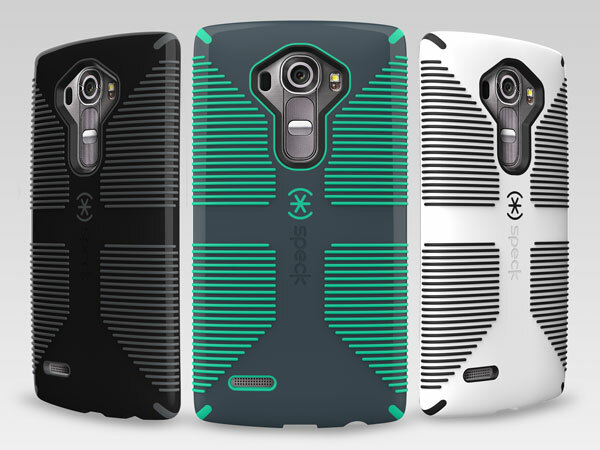 Be sure to sign up to be notified as soon as our LG G4 cases are available.